VTech Switch & Go Dinos - Jagger The T-Rex Dinosaur Only $31.49 (reg. $69.99)! You are here: Home / Great Deals / Amazon Deals / VTech Switch & Go Dinos – Jagger The T-Rex Dinosaur Only $31.49 (reg. $69.99)! 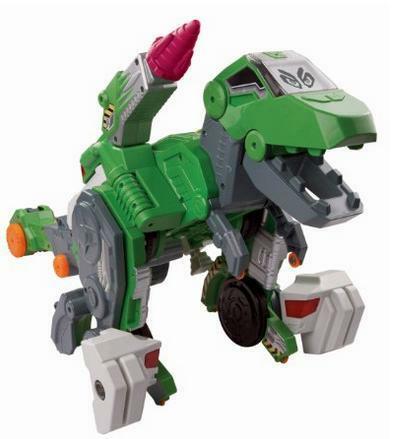 VTech Switch & Go Dinos – Jagger The T-Rex Dinosaur Only $31.49 (reg. $69.99)! Head over to Amazon and get the VTech Switch & Go Dinos – Jagger The T-Rex Dinosaur for only $31.49 (reg. $69.99)! Plus, Super Saver Shipping will be FREE with an order of $35 or more or get FREE 2-day shipping with Amazon Prime. My son (Amber) got this for his birthday last week, and it is one of his favorite toys.